SSgt. Bradley Sexton and SSgt. 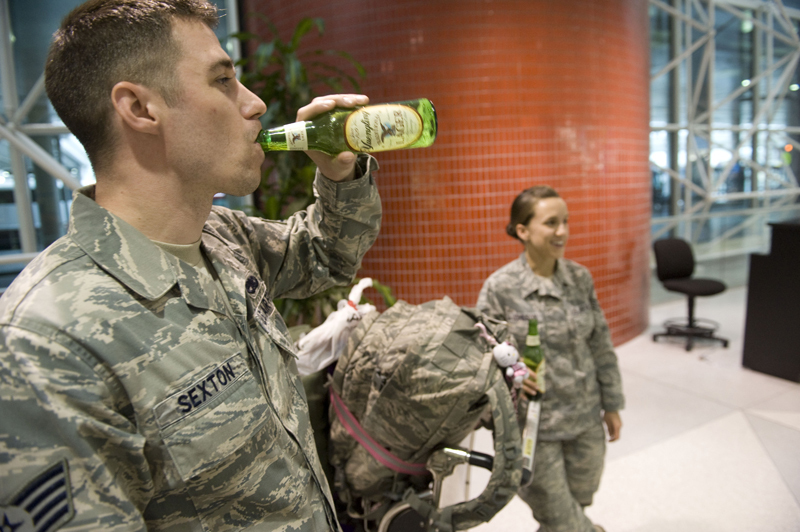 Alexis Johnson enjoy a beer immediately after arriving and BWI airport.